Patti Engineering has a long history with FANUC Robotics. In fact, Patti Engineering has been working with FANUC robots since the inception of our company in 1991. Now, we are a FANUC Authorized Integrator, in addition to being a certified integrator for Kawasaki and COMAU. Our recent FANUC Robotics projects have ranged from working alongside our OEM clients installing complete new assembly lines, to working directly for manufacturers to improve the performance of existing robotic system applications. If you have a robotic system in place and it is not meeting your expectations, our engineers have the experience needed to get the most out of your existing robotic equipment.We are also called in when a manufacturer is looking to add new part types or add new stations to an existing line. When combining our robotics experience with our Siemens and Mitsubishi controls expertise, we have helped our clients achieve a higher level of performance from their robotic systems. Here are examples of our most recent FANUC projects. Total lines removed = 1594 = 74% of original or 26% reduction.These changes decreased downtime, improved cell reliability, and improved recovery. In addition, we added new features to display robot status to the HMI. The next robotics project we will tackle for this client will involve material handling, de-palletizing, and vision applications. Adding New Parts Project: An OEM client was building tooling nests inside existing assembly line stations for an automotive engine plant. The plant needed to add the handling of new piston models. FANUC robots and Mitsubishi PLC software on the existing piston ringing/rod assembly line needed to be updated to handle an additional two new model/style pistons. Patti Engineering assisted our client’s engineers in the software development and modification to meet the project’s requirements. New Assembly Line Project: An OEM client was building an entirely new assembly line using Siemens PLCs and FANUC robotics for material handling, plasma cleaning, and sealant dispensing. Their team simply needed extra hands on deck. We assisted with set-up of the FANUC robots, path teaching, etc. Robot prices are down and performance is up due to dramatic advances in vision and sensor technology. Therefore, robot sales and the need for programming and integration services are at an all all-time high. Whether you’re a small or a large manufacturer, FANUC offers industrial robots for almost any application with payloads ranging from .5kg to 1350kg. 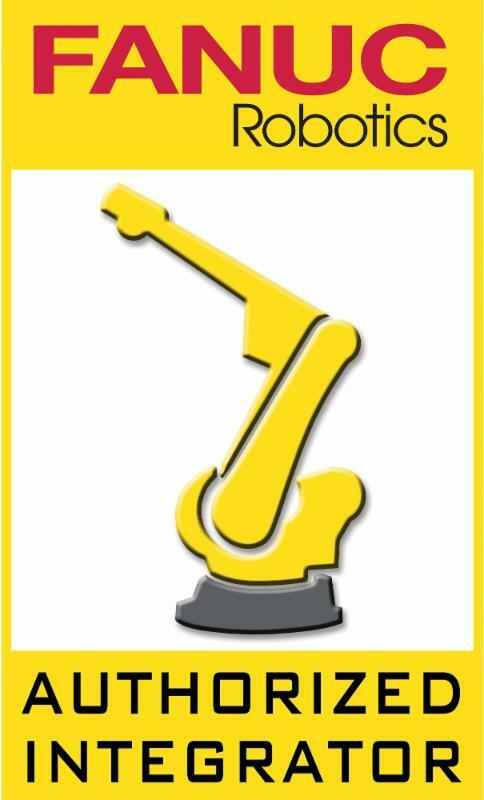 As an Authorized FANUC Integrator, we are prepared to analyze your system requirements and provide a robotic solution that will improve quality, throughput, and productivity to give you the return on investment you are looking for.